To me, there are few things that are better than fresh, juicy peaches! Unfortunately, there are only a couple of months a year that we can experience the joy of peaches. Let’s take advantage of these summer months and eat as many ripe peaches as possible. This 3-ingredient recipe for slow cooker peach cobbler is not only incredibly easy it’s also super delicious. 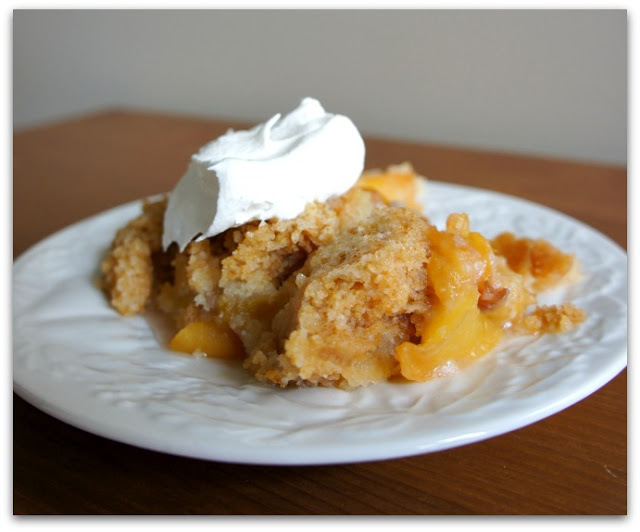 You’re going to love how you can enjoy the delicious taste of cobbler this summer without having to turn on your oven. 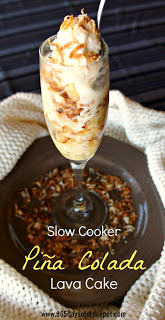 The slow cooker can be really awesome in the summer…no heating up your kitchen. All the heat from the slow cooker is really kept to the pot. 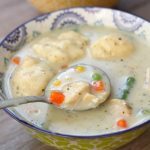 (I do feel that this recipe would translate well to the dutch oven…give it a try when you’re camping and let me know what you think!). You can buy it on Amazon for under $40. The cool thing about this slow cooker is that you can cook the food in the oven and then keep it warm in the slow cooker or cook the food in the slow cooker and brown the top in the oven. The removable insert is totally oven safe and it fits in the dishwasher too, which is a bonus. Want more ideas for a slow cooker summer? 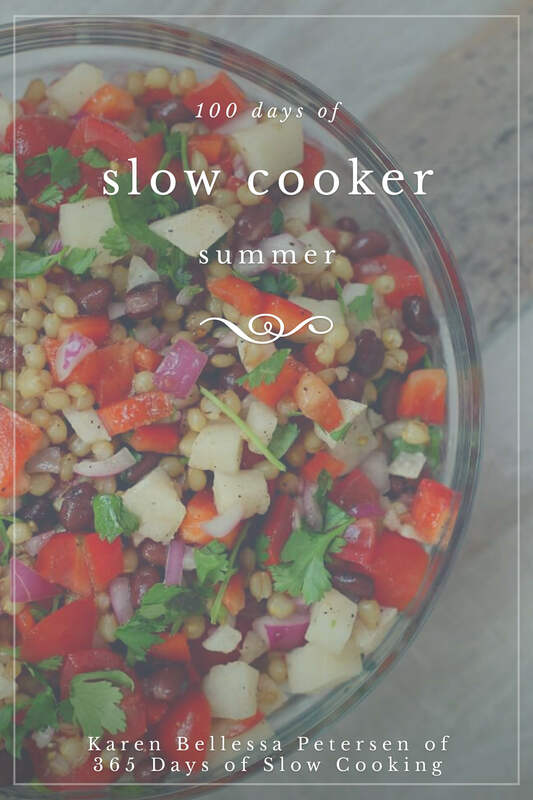 Check out 100 Days of Slow Cooker Summer and stay cool this summer by using your crockpot every single day! 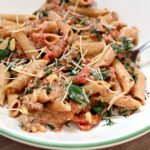 This recipe is so easy even my 8-year old can make it! Can I make the peach cobbler with almond milk? Are you not able to click “no thanks”? When you do that the pop up will disappear. Very delicious!!! Made thus before and everyone loved it. Apple works great and cherry does too. Thank you for the recipe. I made it yesterday with 2 cans of peaches. Drained them completely and cooked for exactly 2 hours on high. It came out so good!! 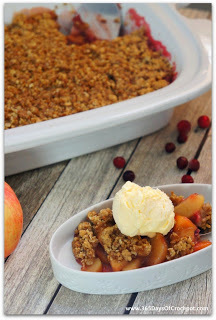 I was wondering if this recipe could be used with 2 cans of apple pie filling? Do I need to use a different flavor cake mix or do anything differently? Would it need more time to cook? I bet you could totally do that. I would cook it exactly the same. Let me know how it turns out! We do this with 2 can of cherry pie filling and the same cake mix all the time! YUM!!!! I need to make this again soon. 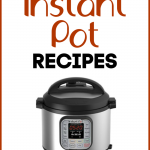 Every slow cooker cooks differently. And some cook super hot and fast. 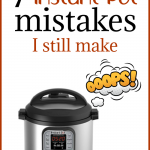 So yes, be careful that it does not burn if you have a “hot” slow cooker. This will be my first time to make in a crock pot. I’ve made many variations of this in a dutch oven while camping… Canned apples with a spice cake, canned cherries with chocolate cake, any variation is good ? cherries and chocolate sounds great! My cake topping g is mushy and I let it cook for 4 hours on low. Should I continue to let it cook in the slow cooker or put it in the oven? I would put it in the oven for a couple minutes! I just made this…I can my own peaches so I used those and drained them well..amazing! Going to try with fresh blackberry's and top it on ice cream! I'm going to use can peaches, how many cans should I use? I like lots of peaches so I would use 2 large cans. Make sure to drain them first! Do I need to add cinnamon to it? Or is it needed? If you'd like…not necessary though! 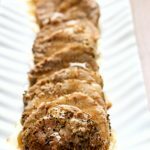 Why do I love this recipe? No oven..No heat! 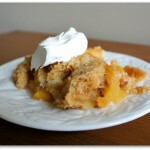 My sons loved the dish to bad my husband doesn't like peach cobbler. I would recommend this recipe to everyone!! I used can peaches pie filling also I've added a little crushed cashews delicious!! Thank you for this great recipe. yes drain them as much as you can! I was just thinking it would be too soggy but I’m so glad that it worked for you! Also, we've used fresh, frozen, and canned peaches for this. Works great every time. I've been making this recipe for years. It works with virtually any pie filling. I've personally tried making it with peach, cherry, and apple. It needs the tartness of the peaches or cherries, but apple is pretty good as well. You can use yellow or white cake mix. Some people melt the butter and pour it on, others mix melted but with cake mix before putting it on. I've always just cut up a stick of butter and scattered the pieces on top. This is WONDERFUL in a dutch oven over a campfire. That's actually the way my family used to make it before we figured out it works well in an oven or crockpot as well. You can pretty much do no wrong with this recipe. (I've known people who add nuts on top as well…not my thing, but I know a lot of people who would love that addition). 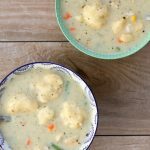 I'm glad this recipe is online, as it's one of my favorites, and it's so simple! I used a mix of fresh strawberries, white raspberries, and blueberries. Added a 1/4 cup water and 1 tsp. of almond extract. Mixed the room temp butter with spice cake mix. Used only a half stick of butter and half the cake mix. Absolutely delicious. I made this yesterday and it was awesome!! Do you think it would work with fresh cherries? Do you think this would work by subbing the butter with applesauce or greek yogurt? I bet apples would work! Yes, add some cinnamon in. I would use baking apples such as cortland, fuji, granny smith, rome beauties. Hi, I found your website through an ad for Reynolds Wrap foil. I made this Peach Cobbler last night.Peaches were on sale for $1.99 lb. Used white cake mix as directed and a Sri k of butter. Cooked it for about two hours, tried some, the cake part was still little mushy, but good. Gave it another hour and the cake took on the more golden color as in your photo. Some of the edges got a bit burnt so maybe two and a half to two and 45 min would be best for my crock pot. Had a second helping and this was better. To me it tastes like the inside of a pie. My two sons enjoyed. Younger son had it fresh from the crockpot as a night snack and today we apportioned out some leftover and microwaved 30 sec. Yummy. One question. Would this work for apples? I could see adding a tsp of cinnamon and a dash of nutmeg into the cake mix. What kind of Apple's would work best? I will definitely make this Peach Cobbler again. I love the idea of slow cooking this for 2-3 hours. Not sure if I should buy canned, frozen peaches right now as fresh is not in season here. I would definitely use frozen if I was you! 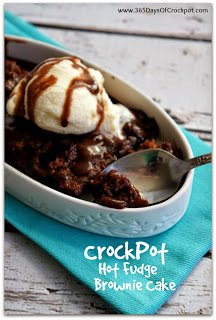 I am going to attempt to make this tomorrow! Wish me luck although I bought yellow cake mix instead of white 🙁 oh well we'll see what happens and I bought frozen peaches instead of fresh b/c it was cheaper we'll see what we get and let you know how it turns out! How did it turn out? I am so excited to try this. What about using Sliced Peaches in a can? Those are usually cheaper to buy…or will that make it too mushy? I would suggest that this is because of the condensation that occurs during slow cooker cooking. The paper towel is probably an attempt to keep the cobbler from getting too "mushy." Oh! 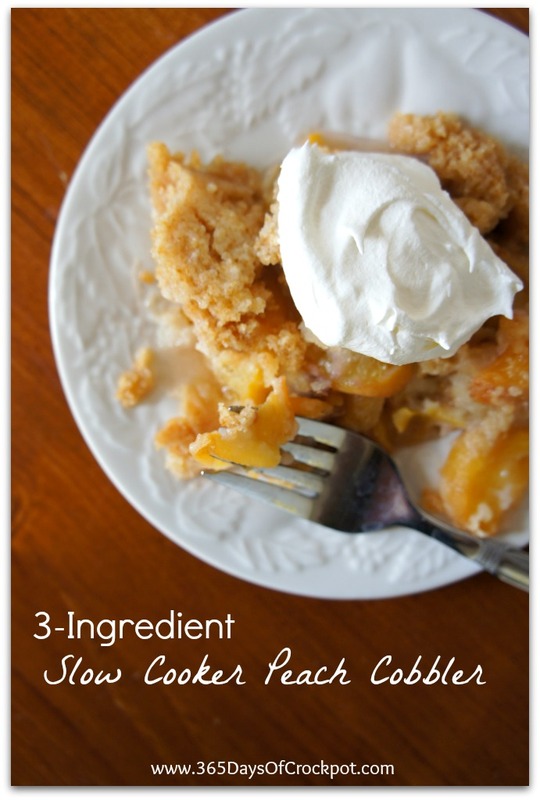 This sounds delicious and makes me wish my husband liked cobblers!! I'm also curious about the paper towel… Why is that needed?